The 2016 Monaco Yacht Show is a few weeks away and Asia Pacific Superyachts agents will bring fresh news and information on cruising Asia and New Zealand, Fiji and Tahiti to superyacht owners, captains and management and charter companies at the APS Stand #QH31 (next to Monaco Yacht Club) during the bigger than ever event to be held September 28-October 1st. 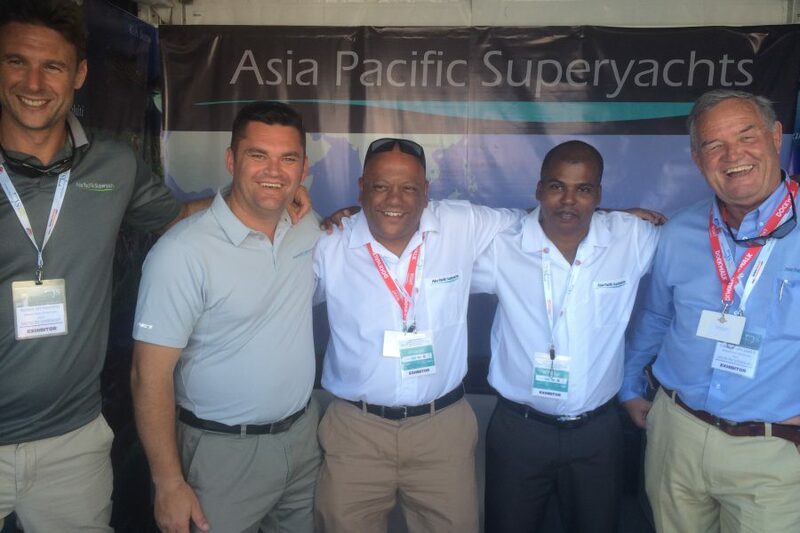 Asia Pacific Superyachts service and destination experts from among the 17 branches in 15 countries will be on hand and Gordon Fernandes, GM of APS Phuket & Myanmar, coordinating the APS exhibit this year comments, “We have the support and supplies networks in place to effectively support all visiting yachts for their journey through Asia and the Pacific regions of New Zealand, Tahiti and Fiji. We will be meeting captains, managers, and charter companies in a show of strength and solidarity in our abilities as the leading yacht support agency name in the Asia Pacific market”. MYS ranks as one of the most travelled to events by private jet and yacht in the world each year, with hundreds of the most luxurious superyachts along with a new generation of superyacht toys on display at the iconic Port Hercules.